The needles of this small, pyramidal tree are recurved, displaying the silver-white undersides. This characteristic gives this specimen a gleaming colour and an uncommonly beautiful textural effect. The large distinctive red cones are eye catching and remain on the tree for a long time. 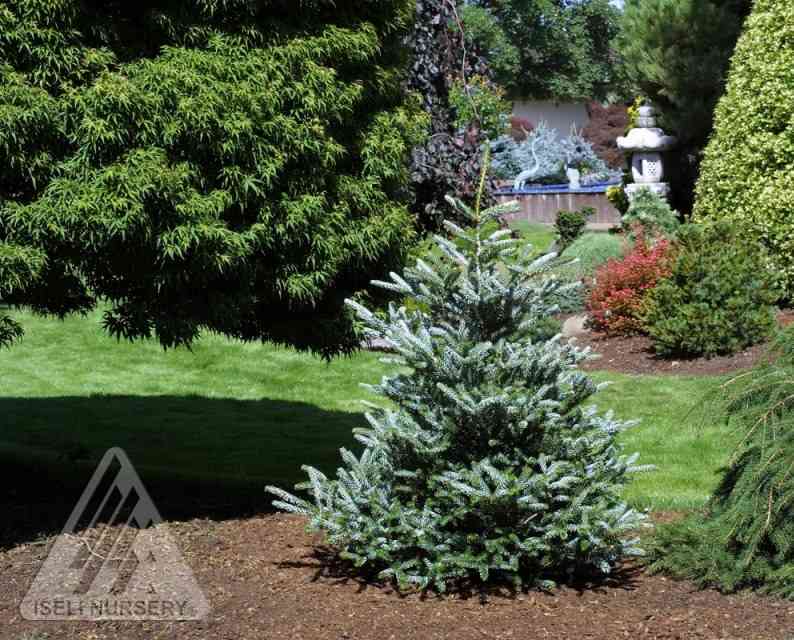 Abies koreana 'Silberlocke' was formerly listed as 'Horstmann's Silberlocke'. Silberlocke' grows best in rich, consistently moist, slightly acidic well drained soil. In our Zone it prefers shade from the hot afternoon sun. It dislikes wet soil and heavy clay soil.